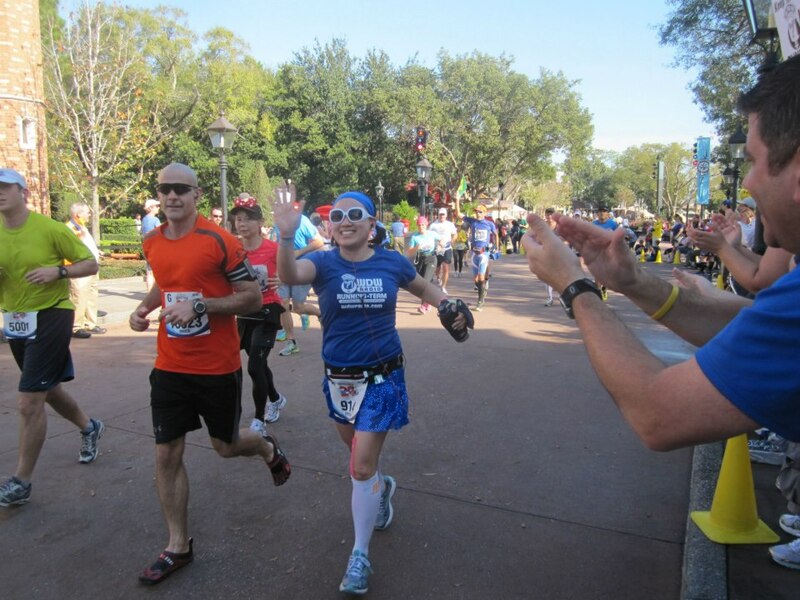 I cannot wait to share my Walt Disney World Marathon recap with you all! But, I am WAY too busy having fun right now, so here’s a pic that my friend Katie snapped of me near the end of the race – right after we entered Epcot. Believe me, this recap will be LONG and photo-filled! SPOILER: I didn’t PR (it was a MAJOR PW) but it was the BEST.DAY.EVER. Having the best day ever is the most important thing! I want to be you when I grow up– you’re smiling at the END of the race!!! I know you must be having a blast! Looking forward to seeing and hearing more. I don’t throw around “best day ever” often, but when it comes to running, Sunday was and it will be very hard to replace it. Congrats on running and enjoying the race! I’m excited to read your race recap! I’ve loved all the photos you’ve shared on Twitter!! Sometimes those PWs are the best days ever! Can’t wait for the recap.